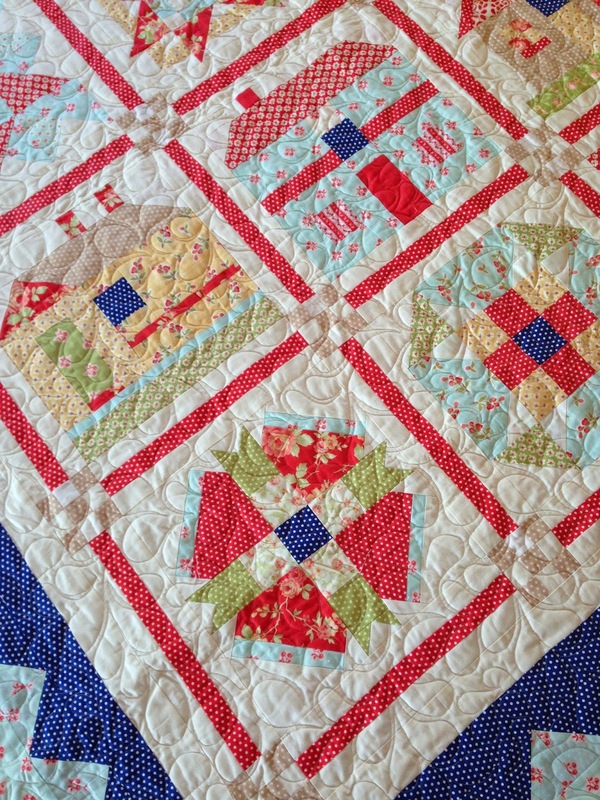 Finally a finish in my Designer Mystery quilt 2013. 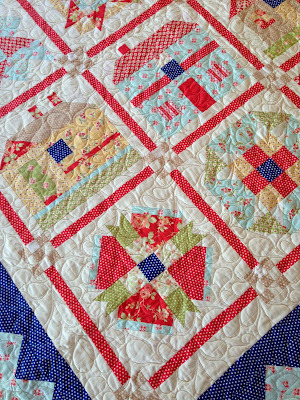 It is a BOM by Fatquarter shop. 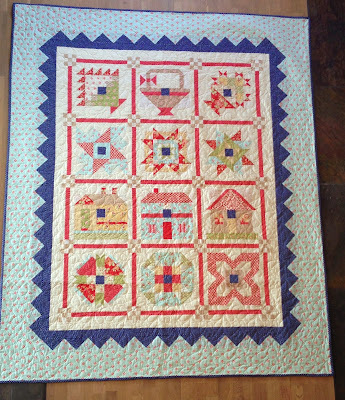 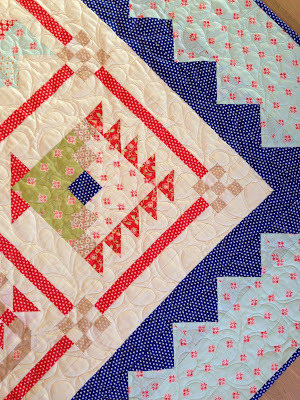 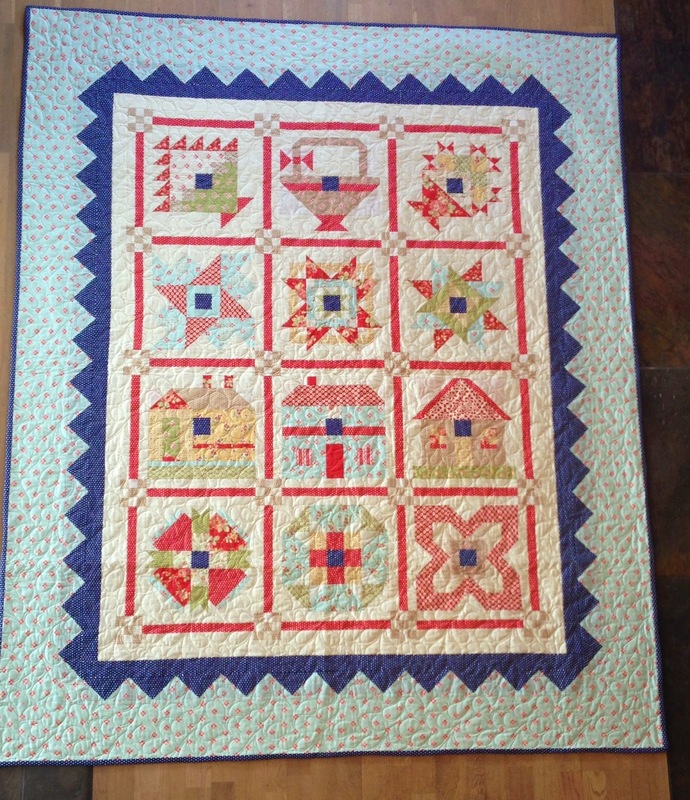 Quiltén in Arendal has done the quilting and it is done so beautifully!! The fabric are Avalon by Fig Tree Co. 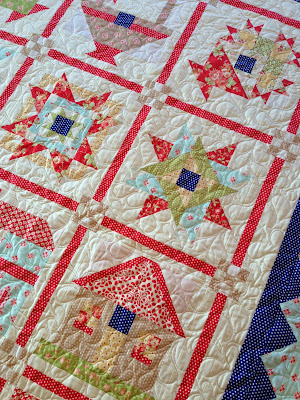 I have lots of scraps, I really must find something nice to make of this wonderful scraps ..